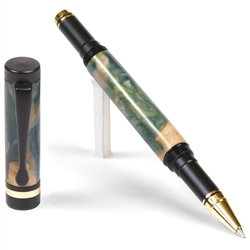 If you are looking for that ultimate writing experience you should consider owning a Roller Ball Pen. These pens are most sought after because they made writing easier because of the ceramic roller ball at the tip of the nib. 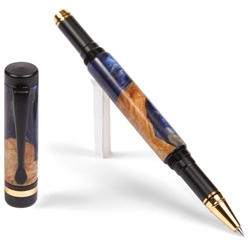 Because rollerball pens are so much in demand, we have a custom made line just for you. We understand that no two people’s hands are alike and therefore, our Lanier Roller Ball Pen come in three distinctive styles for you to choose from: the Classic, the Elite Classic and the Cigar style. 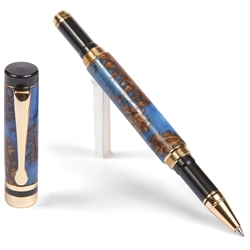 Each one of these styles ensures that the pens are as durable as they are beautiful. Whichever style you decide to choose, you will have writing comfort like never before. Why are Our Pens so Special? Besides the fact that the bodies of all our pens are made from exotic woods, there is something else that makes them so special and sought after. This has everything to do with the Metal Body Schmidt 5888 Safety Ceramic Tip Rollerball ink refill that pen comes with. In addition to this all of our pens come with caps that can be screwed on both at the top of the pen as well as the bottom. This way you never have to worry about losing your pen cap. At Lanier you can put together your very own roller ball. Yes, that’s true. 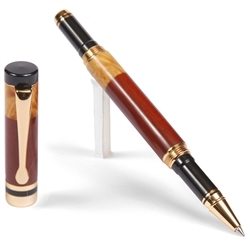 All you need to do is build it on our site and we’ll make your handcrafted pen for you. To begin with you will need to choose a style. Once you have chosen a style, you need to choose the kind of wood that you would like the body to be made out of. Once these basics are done, you can embellish it with one of our plating options and you can even have the pen engraved.